Lot # 73: 1888 N338-2 S. F. Hess Arlie Latham - Highest Graded! Graded VG 40 by SGC (submitted by REA). This is the ONLY example graded at this level with none higher! Do not be fooled by the technical SGC grade on this gem! We grade this card EX with a tiny surface imperfection in the center of the card. This card was one of three newly discovered nineteenth-century cards consigned to this auction from a non-collector. 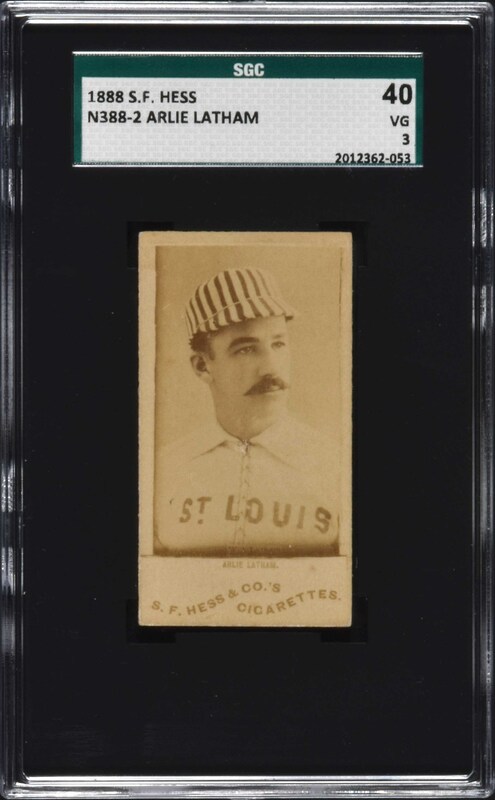 Extremely rare and very sharp-looking sample card of Arlie Latham from the S. F. Hess tobacco set, one of the most elusive of all pre-1900 card issues. The S. F. Hess series features primarily New York Giants players. Of the twenty-three subjects known to date, sixteen are members of the Giants, champions of the National League in 1888 and 1889. The card displays strong photo contrast, four square corners, excellent centering, and no creases. The blank reverse has a light stain in the center, but otherwise perfectly clean. 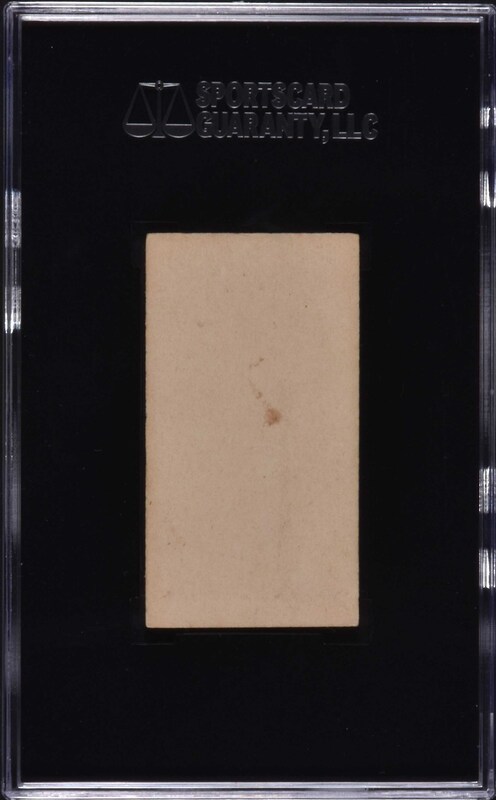 A top-quality example from one of the nineteenth century's rarest baseball-card sets.